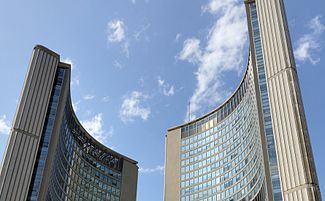 Toronto is the largest city in Canada and the capital of Ontario. Home of the Toronto Raptors. See also: Skyline of Toronto, Aerial photographs of Toronto and Maps of Toronto. See also: Buildings and structures in Toronto. See also: Nature of Toronto, Parks in Toronto and Toronto Waterfront. See also: Neighbourhoods of Toronto. See also: Events in Toronto. See also: Sports in Toronto. See also: Transport in Toronto. See also: History of Toronto.